LIHUE, Kaua‘i – Gov. David Ige and Mayor Bernard Carvalho conducted a video teleconference this morning from the Kaua‘i Emergency Management’s operations center. 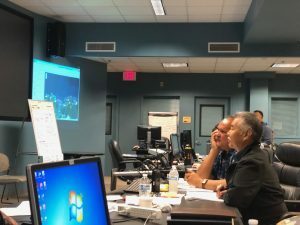 The teleconference included state and county emergency personnel, who discussed the latest developments as they implement their action plan. 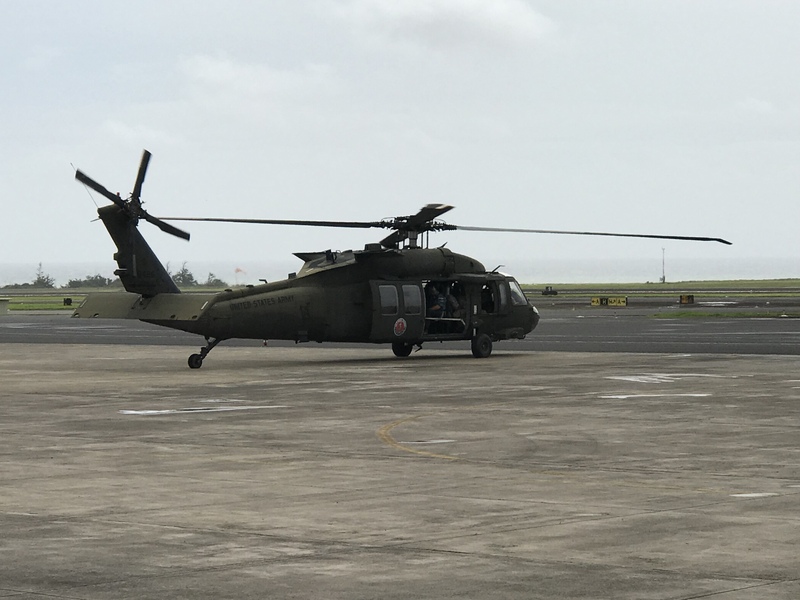 “The Hawai‘i National Guard was deployed yesterday, and I am committed to identifying and mobilizing additional state assets needed to keep the community safe. Now that the weather appears to have cleared, our top priority is to get to people who need medical attention and relief supplies. Once that is taken care of, we will assess the damage and determine how to quickly restore services. Access continues to be a challenge given the number of landslides in the area,” said Gov. Ige. Gov. 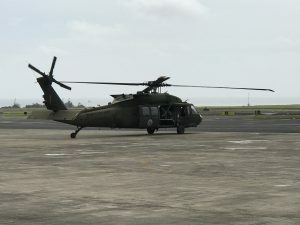 Ige, Mayor Carvalho and emergency personnel took an air tour of the devastated areas aboard a Hawai‘i National Guard Black Hawk helicopter late this morning. The Office of the Governor and the Office of the Mayor on Kaua‘i will have another update shortly.